Welcome to Champions Flat Track School! THE ONLY FLATTRACK SCHOOL ACCREDITED BY THE AUTO CYCLE UNION. 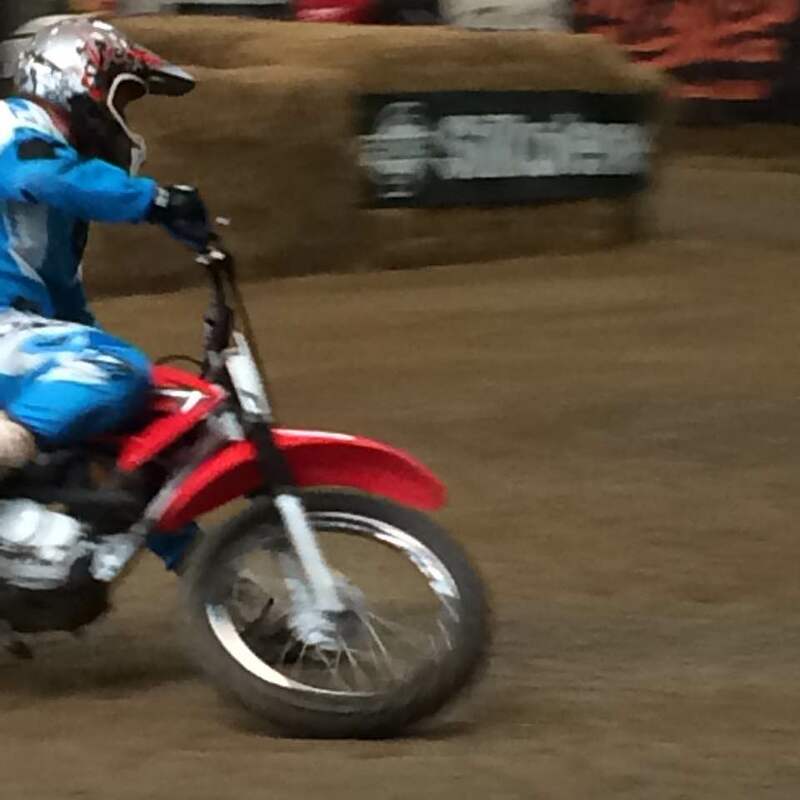 Flattrack is recognised by many up and coming MotoGP stars and World Champions as a valuable part of their training schedule and now we offer chance to learn new skills to none racers, road riders and beginners to off road riding the way Champions train. The school is the first to let riders experience up and coming Motorcycle sport of Flattrack.It is great honing your skills and having fun on dirt bikes around flat dirt ovals and TT tracks. We will take you through body postion, backing the bike in on the rear brake, getting the bike low in the turns and throttle control sliding out of the bends. The School will be a full days Riding and you will need to bring your own protective clothing – ( anything from full leathers, kevlar and goretex clothing, through to MX gear with back protection), boots – road, mx, helmet – full or open face and gloves, basically, whatever you generally ride in and are comfortable in should be ok.
We provide the steel shoes, (a generic type which fit over any boots), along with the flat track bikes, track and training in small groups offering a high ratio of instructors to pupils, with loads of track time. We also the only School to offer all year round Training,with our fantastic Indoor Track which is open 6 Days a week. We also offer Open Training Days, where bring your own bike or hire bike and ride with the Stars racers,also we do Private hire of the track for small groups who just wish to ride with there own group. Please check all the links out for more info or call our office 01507313590 or email peter.boast1@btinternet.com.